Save money with labels, and save money on labels with Value Packs! We all know labels can save you money by preventing loss or any mix ups, but now you can save money on the labels themselves. They are super easy and convenient, especially our aged packs; 0-5 for everything day-care and pre-school, or a 5+ pack for anything your little student needs! 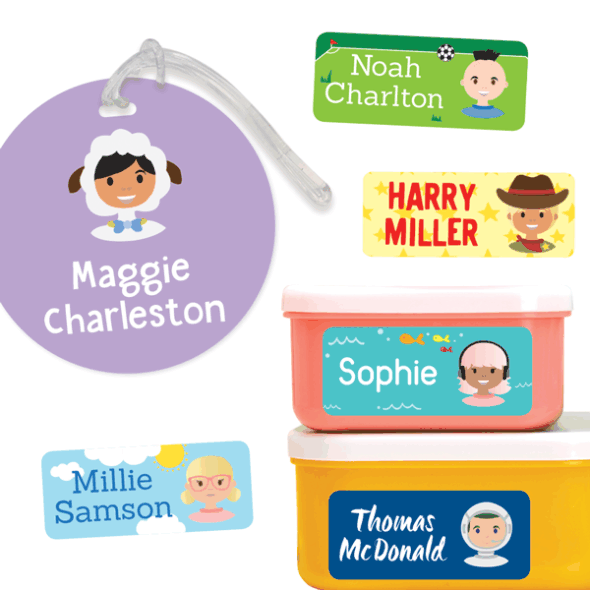 Stuck On You also has label kits to suit you whether you just need Name Labels that stick-on, or if you need a mix of Name Labels, Iron-On Labels, Shoe Labels and Bag Tags in our All You Need Pack. 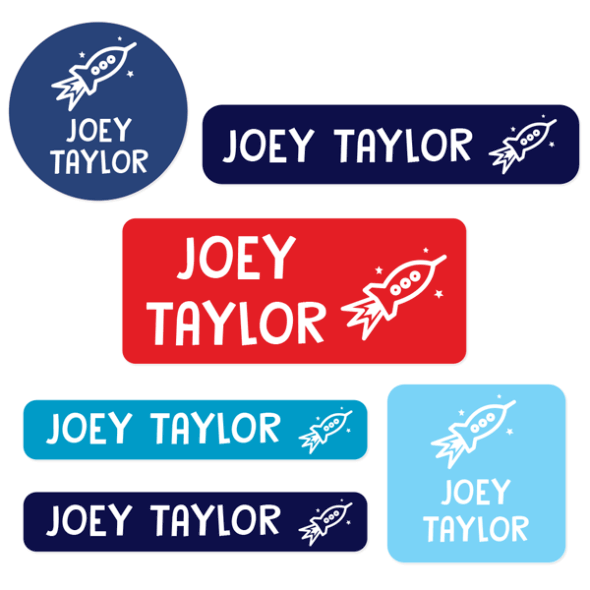 The Value Packs are also quick to order, all you need to do is fill out your child’s name, choose a design and font, and you could have 300+ labels coming your way! This way nothing gets forgotten and you can send your child back to school with everything labelled, from uniforms to books to shoes to pencils…we could go on and on! We loved this product. We felt it was high quality and can not wait to start using it. Great service and fast delivery. I love being able to select a colour/font/picture that my child will enjoy! "This has everything you need. You get to experience all the lables and then you can decide what works best for you and you can buy seconds. The colors are great, they dont fade when you clean." The colours in our Super Value Pack Name Labels are so vibrant! We are pleased to hear you love the colours too! Thank you for reviewing your purchase and experience with us! We really value all customer comments! Our fully automated online ordering ensures that all our orders are produced and sent as quickly as possible! 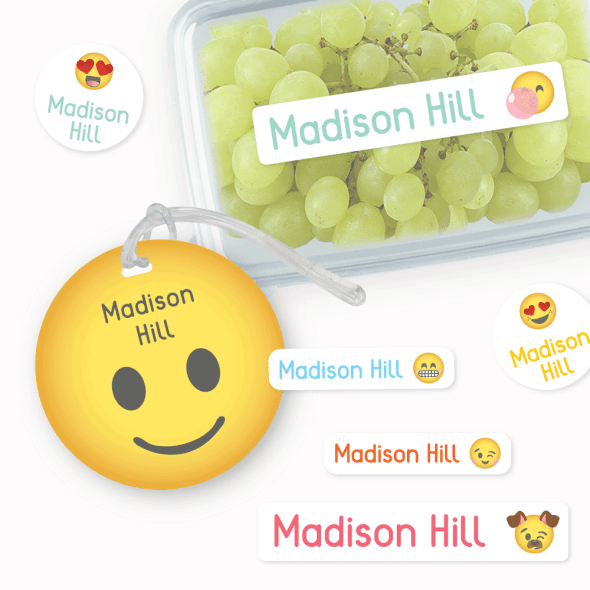 We are thrilled to hear that you are happy with your Name Labels Super Value Pack! Thanks for your lovely review! We really appreciate it! Perfect for school, and comes in a neat wallet. Our team is very grateful for your loyalty - We are pleased to know you love Stuck on You Label quality and have returned to purchase a second 5+ Pack. We love knowing your labels are perfect for School! I hope you enjoy your name labels - thank you for your honest feedback, I appreciate you taking the time out and I'm glad you're happy with everything.